Texting My Pancreas: The Power of Encouragement. It was a by-week for A1C testing, but we did test my thyroid and other blood-dwelling numbers. "How's your pep? Are you feeling energetic? Because your thyroid looks perfect! ", she told me. "All of these numbers look beautiful! Your blood pressure is back down, too. (118/80!) Let's take a look at your Dexcom print-outs." Things looked pretty good there, pattern-wise. I'm running higher in the evenings, and I know I need to make some adjustments there to curb that. "Are you still planning to do the half-marathon again this year? ", asked D.
"Yep! I got a late start on my "training", but I'm getting out and walking lately. I've already logged 6 miles this week, and I plan to go out again a couple more times." "That's so awesome! What a great role model you are. And you had your trip to DC, right? How did that go?" I told her a shortened version of what went down, and how valuable and FUN that experience was. And then she asked me, "So what other questions do you have for me?" "Well - I'm not really happy with my weight. I mean, I don't think my portion sizes are that out of whack, and I get a moderate amount of exercise... sometimes. It just feels like whatever I do, it never 'sticks'. And no matter how much I try, the weight doesn't come off as quickly as I think it should, you know?" "That's something we could work on - although, you're still wanting to be pregnant soon, right?" "So, here's my view on that: while yes, it will benefit you to lose some weight, I don't think that should be our priority for the near future. (I love that she said "our", by the way.) Weight is something we can definitely work on, but right now I want you to keep eating healthy and focusing on getting your mind and body ready for pregnancy. Losing weight would be good, but when you become pregnant, your way of eating and exercising is going to change up - so I don't think that's something we want to focus on right now." Or something like that. I don't recall exactly how she phrased it. "All of your bloodwork looks great, so the weight isn't something we NEED to focus on, for the short term. But keep training for that half-marathon, and I want to hear all about it in June!" We also discussed, for probably 20 minutes, her upcoming wedding (less than 2 weeks! ), and how weird it will be for her to have a day off while she's healthy. I assured her that it will be a vacation well-deserved. And she told me that every time she hears about wedding pictures, she thinks of me. I love that I have a doctor I can chit-chat with; that acknowledges the power of PWDs connecting with each other; that takes the time to know me as a person, as well as a person with diabetes. Appointments with her don't have the leading-up-to-it anxiety that I used to feel. Time with her feels comfortable, and I know that even when I struggle, she gets that diabetes is hard work, and that I'm doing the best I can. She's there to jump in when I need it, and back off when I don't. She cheers me on, and cheers me up when I'm being hard on myself. First of all, congrats on the baby milestone! I'm so excited for you and your husband and can't wait to hear one day soon that you're expecting! Yay for you!!! And secondly, I want a doctor like that!! Seriously! I'm so frustrated with mine, and reading this post is what I want to find! Great job in finding her! I'm clinging to the hope (as is @Arnold_and_Me) that the new endo moving here soon is fantastic. But I'm so glad you've found a great doc! Your doctor sounds great! I would like to find somebody like that, somebody ! can have a conversation with rather than be dictated to. Glad you are happy with your health care team! I love my endo, but I realize she is one of a kind! RE: problems with your weight. I used to have problems with my weight, back in the days before BG meters, when I used to overinsulinize myself in an effort to avoid high BG's (which I was determining by taking urine glucose tests, and treating with horrid Regular insulin, which in my body had two peaks and thus required me to snack if I overdosed on it.) I did get my weight down to precisely where it should be, way back in 1991. However, I've had my share of infusion site issues due to being thin. As my endo put it to me: "It's better for Type I diabetics to be slender, but it also makes it more difficult for them to find enough infusion sites that work." So, that's the downside of pumping/CGM-ing and being slender. I look forward to hearing about your pregnancy, whenever it takes place! I was told, at the time of my diagnosis in the early 1970's, that we Type I diabetics could not have children. That pretty much set me up for a childless life. I also did not get married. Fortunately, things have changed for Type I women since those days. Our pediatrition is a lot like that. Hi, i just found your blog, some very good articles here, keep up the good work. Wordless Wednesday: Can't... Stop... Reading. 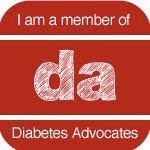 Twenty Five Years With Diabetes. Free Coffee, Twenty Five, and e-Pharmony. 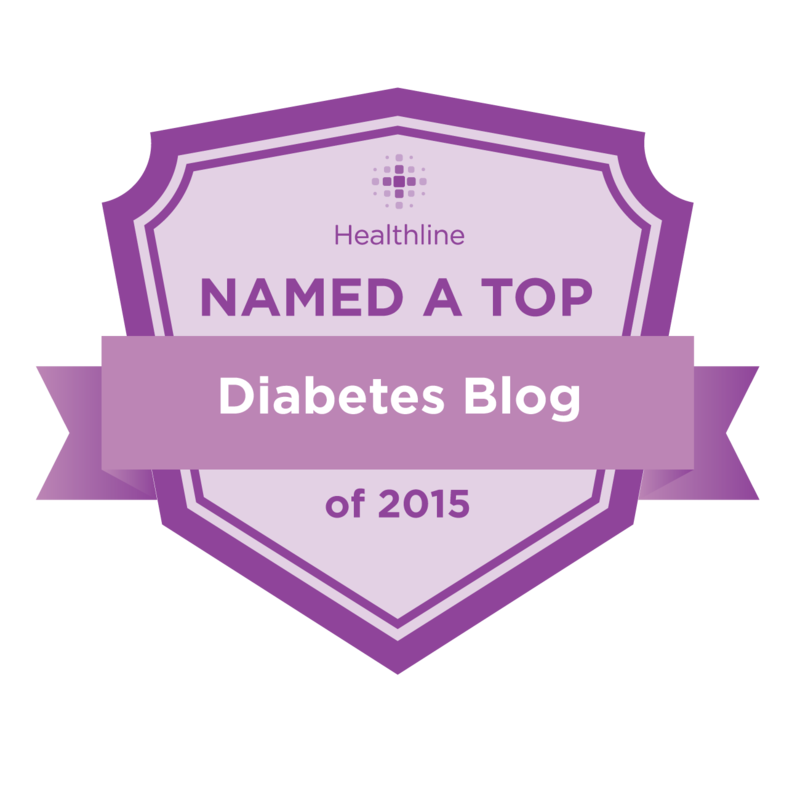 Type 1 Talk: Relaunched and Loaded. Oh, Right. I'm Supposed To Feel That. D-Feast Friday: Raisin Nut Banana Bread. Diabetes Is Like MC Hammer. A Letter To Reader's Digest.